Prof. Dr. Yong Cao is the Co-Founder and Foundation Fellow of International Engineering and Technology Institute (IETI), Hong Kong He received PhD in Computer from University of Electronic Science and Technology of China in 2010, Master Degree in Computer from University of Electronic Science and Technology of China in 2004, Bachelor's Degree in Computer Software from Sichuan University in 1996. 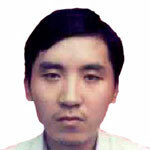 His research interests include Bioinformatics, Big Data, Nonlinear Science, Software Engineering and so on. He has published over 50 articles in conferences and journals. He is the Senior Member of China Computer Federation, Member of ACM and IEEE and IEICE. At the same time, he is also the Expert for the National Natural Science Foundation of China.